The Newton YMCA is focused on making a positive impact in the community through a variety of programs, activities and community outreach. As a leading, cause-driven non-profit in Jasper County, the YMCA partners with many organizations, businesses and individuals to make fun, family-friendly activities are available to all. The YMCA staff works countless volunteer hours on a number of service organizations, at their churches, committees and simply trying to improve Jasper County. Among community programming we offer are after-school programs for elementary and middle school students, free movies at Capitol II, free family entertainment like "Nearly Elvis," participating and supporting the 4th of July events in downtown Newton, Zumba and fitness classes offered at Clearview Recovery Center in Prairie City, offering free or discounted rental for community events, free use of facilities for training of emergency personnel in Jasper County, serving as a drop-off and pick-up location for Newton Community School District, partnering with Newton Little League, Newton High School athletics department and much more. 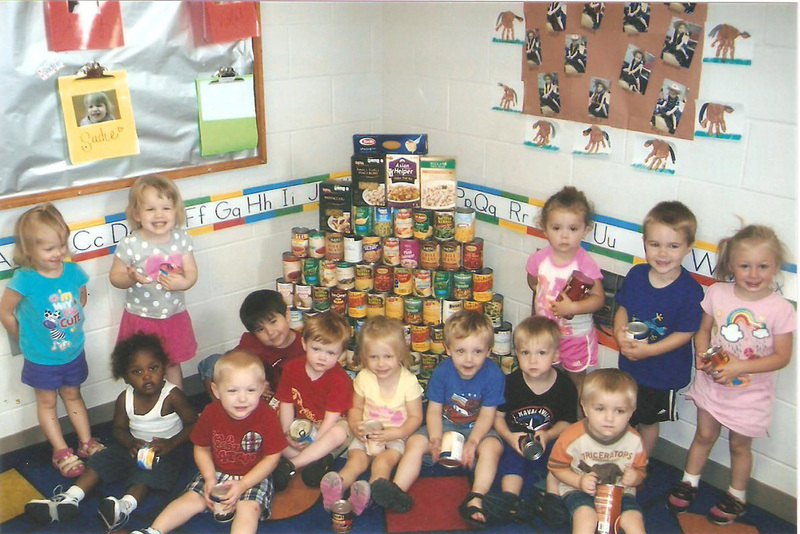 The Newton YMCA hosted a canned food drive in July 2014 to support the food bank at the Salvation Army. All members and staff were encouraged to participate. The YMCA Child Care also participated bringing in more than 300 non-perishable canned and boxed food items. Students in the 2-year-old room (above) won an ice cream party by bringing in the most items with a grand total of 102. The donations were delivered on July 23, and will serve some of the more than 850 families in need each month at the Salvation Army.